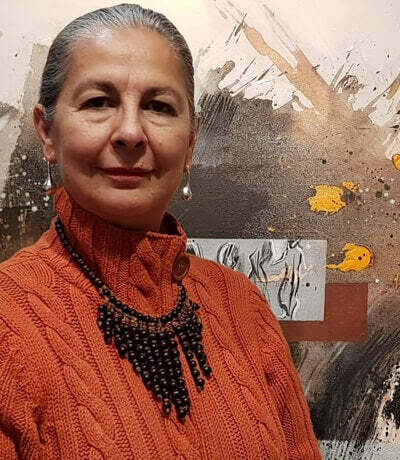 Using art in all its possible expressions has motivated Rossella Matamoros for more than two decades. At home in Costa Rica and in studies around the world, the artist has focused her work on creating interdisciplinary pieces that depict complex topics. Some of the techniques she has explored include drawing, painting, sculpture, installations, set designs, dramaturgy, performance and video, all while living on three continents and studying in six countries. Her artistic career began when she was 18 and studied visual arts at the University of Costa Rica (UCR). She then obtained a Fulbright scholarship to obtain a Master of Fine Arts degree at George Washington University, which she followed with a scholarship from the French government to study in that country. Finally, she obtained a third scholarship from the Japan Foundation and went to study art in Japan. Throughout, her deep interest in social issues remained very much alive and a part of her work, driving her toward explorations of performance art. “I do a lot of performance with different topics because I’m always trying [out] different subjects that relate to human development, trauma, recovery, quantum physics or sociology, and politics related to immigrants,” says Matamoros.